Trimaan Dhillon cut 24-year-old Alice Ruggles’ throat after breaking into her Gateshead flat in October 2016. A review has found Northumbria Police and the Army failed to properly address signs of L/Cpl Dhillon’s jealous and obsessive behaviour. A domestic homicide review, carried out by Gateshead Community Safety Board, concluded Miss Ruggles was subjected to “significant stalking” and that Army officials failed to record a previous domestic assault charge against Dhillon in Kent. 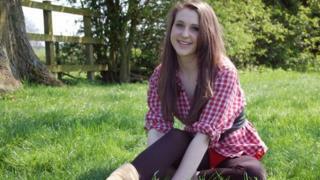 The review heard Miss Ruggles, who was originally from Tur Langton, near Market Harborough in Leicestershire and worked for Sky, had contacted Northumbria Police about Dhillon’s stalking in the days before her death. The review noted that a police officer did contact Dhillon’s barracks in Edinburgh and spoke to a superior, but not Military Police or Police Scotland, and Dhillon was then told by the regiment to stop contacting her or face arrest. The report concluded: “The perpetrator’s willingness to travel provided an indication of the level of his obsessive behaviour that was overlooked. The review described the incident as a “missed opportunity to support Alice”. It also found the force treated the matter as harassment rather than stalking. The force has since apologised to Miss Ruggles’ parents, Sue Hill and Clive Ruggles. The review also called on the Home Office to review the legality of spyware after concerns about the ease in which Dhillon was able to hack Miss Ruggles’ social media accounts. Responding to the report, Ms Hill and Mr Ruggles said: “Alice died in tragic circumstances and it is important that failings are acknowledged, lessons learned, and improvements made. Brigadier Christopher Coles, head of Army personnel services group, said: “We are committed to tacking domestic abuse and last year launched a strategy to help prevent domestic abuse in all its forms. Northumbria Police’s assistant chief constable Rachel Bacon said: “With the help of Alice’s family we are now leading the way in training officers in the best way to deal with these types of offences.